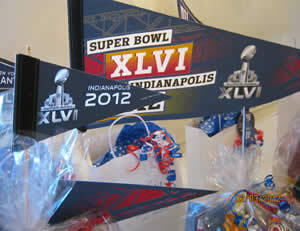 The Aleethia Foundation / It's Super Bowl weekend! It’s “Super Bowl” weekend… What a way to start the weekend with Aleethia’s Friday Night Dinner hosted by several “Super” members of the Washington Golf & Country Club. The Chef prepared a “Super” array of hors d’oeuvres followed by a “Super” four course dinner. 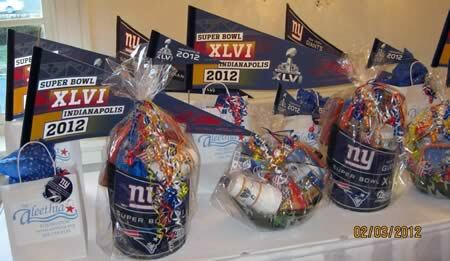 Of course, there were “Super Bowl XLVI” door prizes! We greatly appreciated the “Super” friendly WGCC members who served as table hosts and sponsors for the evening. Thanks so much for a “Super” evening!!!! 9,600 “goodie bags” and counting! 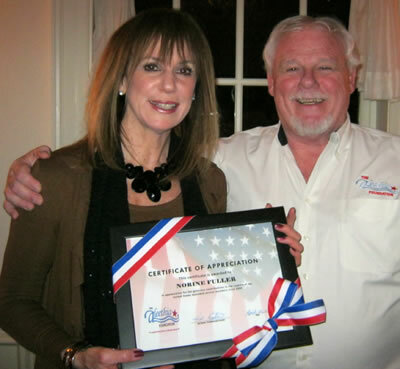 … Hal Koster, Founder and Executive Director of the Aleethia Foundation presented Norine Fuller with a “Certificate of Appreciation” for her generous contributions in the support of the U.S. wounded service members. In 2004, Norine Fuller learned of the “Friday Night Dinners” for the injured service members recovering at Walter Reed Army Medical Center and the National Naval Medical Center. She decided to deliver “goodie bags” to the weekly dinners to show her gratitude and appreciation for their service. This wonderful gesture has continued for over eight years. On most Friday nights, there are 30 or more gift bags waiting for our service members. A simple gesture of gratitude from a “SUPER” lady has touched thousands of hearts!